CNN didn’t let this go, not by a long shot. They found the Redditor who made the original meme, HansAssholeSolo, and threatened to Dox him for it unless he removed all his Reddits and apologized for his work. And they bragged about it. Naturally the entire internet took this as a declaration of war. 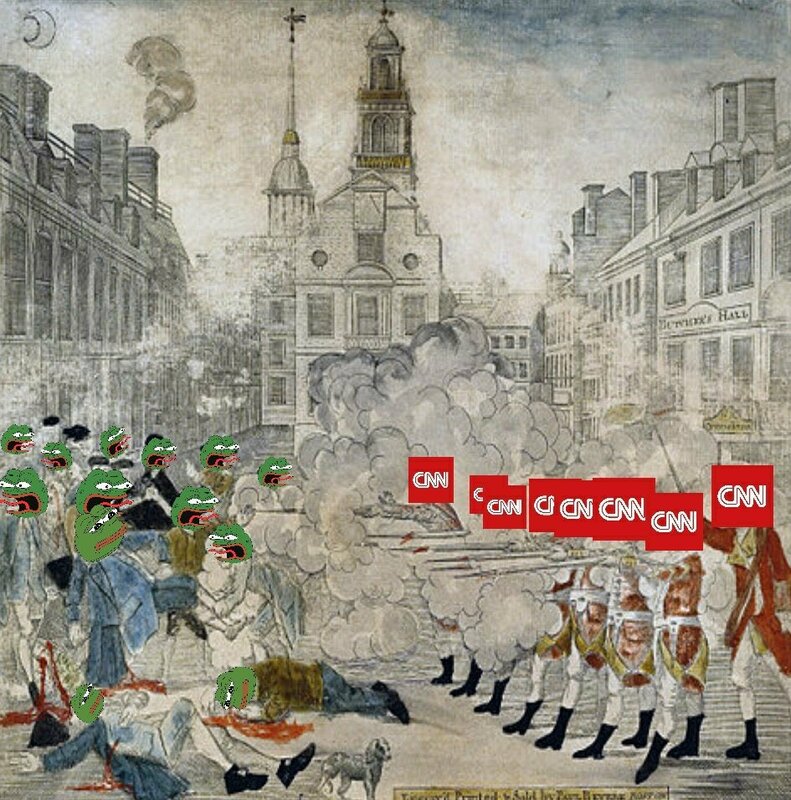 The memes perpetrated against CNN were infinite. The theories were all over the place. How could they do such a sinister thing? They were compared to everything from an unofficial secret police to a mafia. And to some extend all these people are right. But here’s the thing. I used to work in an office with a television in it. I could watch any cable channel I wanted to, anytime. Generally I put it on CNN on mute. Because I found this out about them – they put out about 10 minutes of relevant news per day. For the other 23 hours and 50 minutes they have to make stuff up to get eyeballs. Project Veritas proved it with the whole Russia story. It’s a “nothingburger” cynically manipulating sore losers into thinking maybe they’ll get their candidate after all. And God bless them for it. But the fact that they would pull such a stunt, I really feel like it’s just another attempt to get eyeballs. Except in this internet age, this isn’t just about eyeballs. The more attention you get, the more people talk about you, the higher your ratings go. CNN just pulled a move that skyrocketed their ratings yet again. That, and they’re a failing channel with an aging demographic desperate to cling to their dying business model. It’s all a very complicated calculus. Besides, who am I to deny the entertainment value of memes?